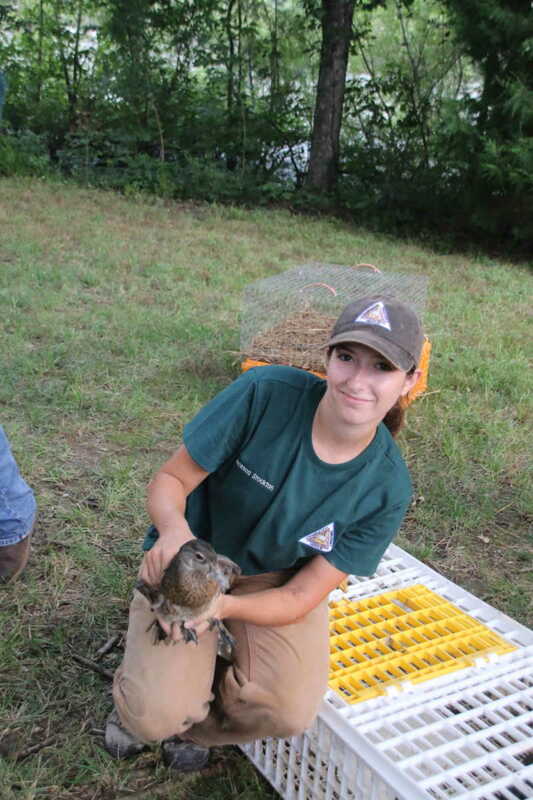 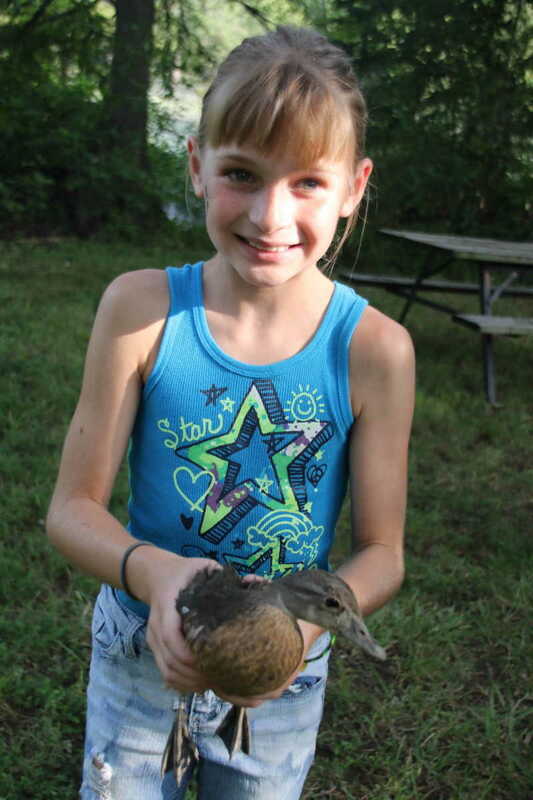 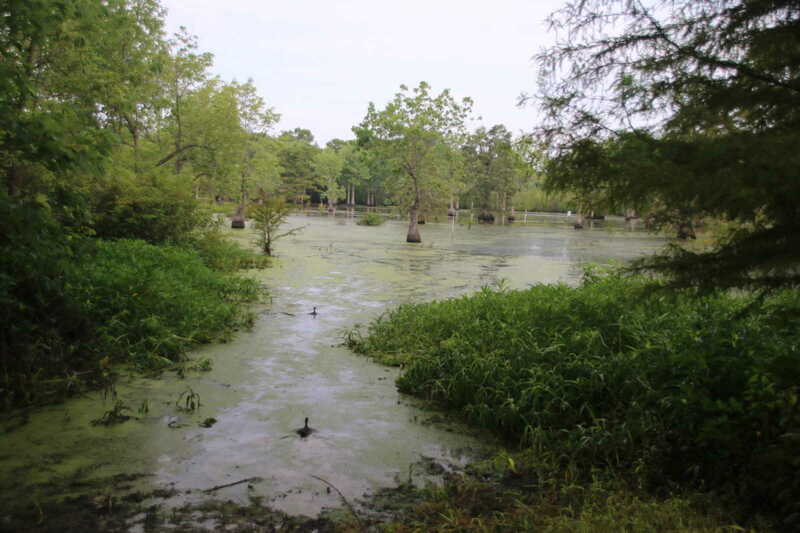 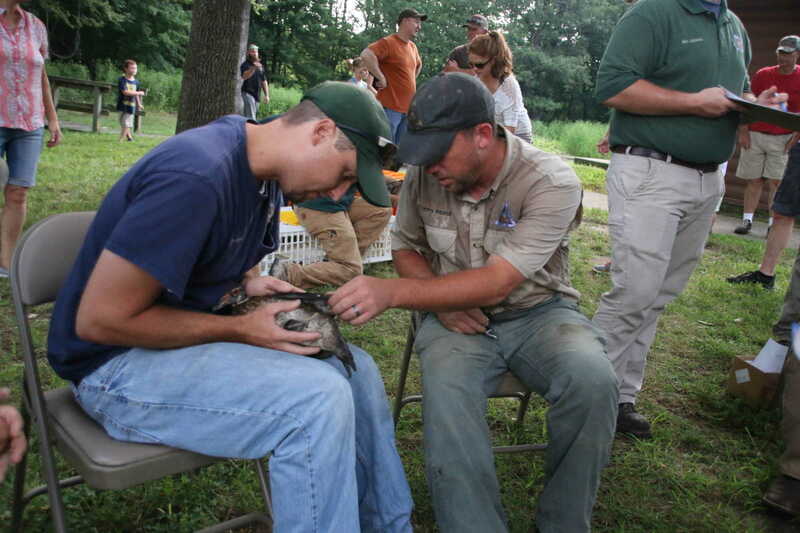 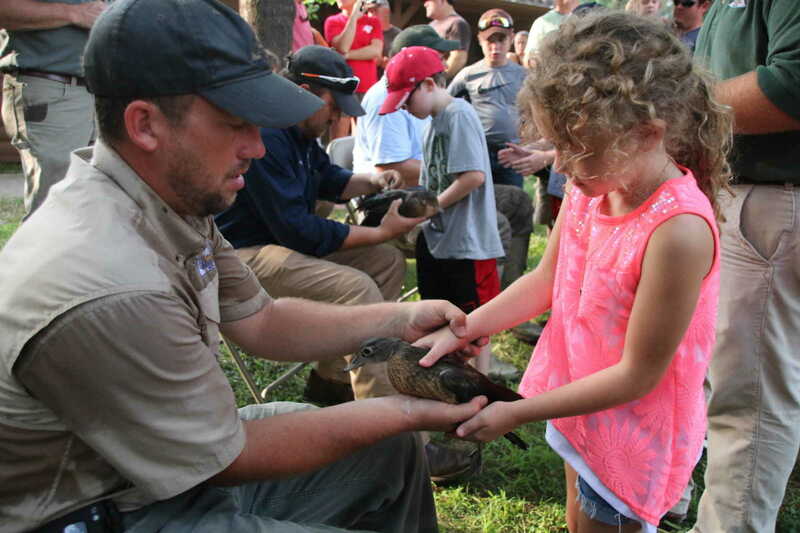 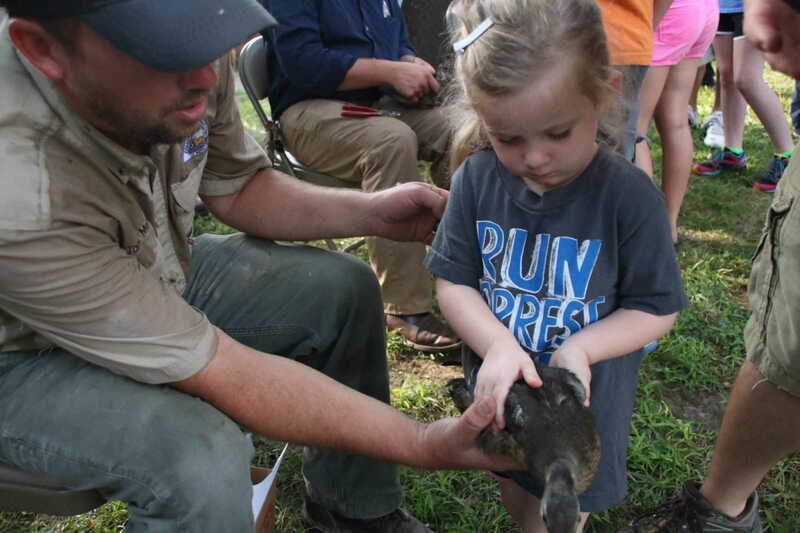 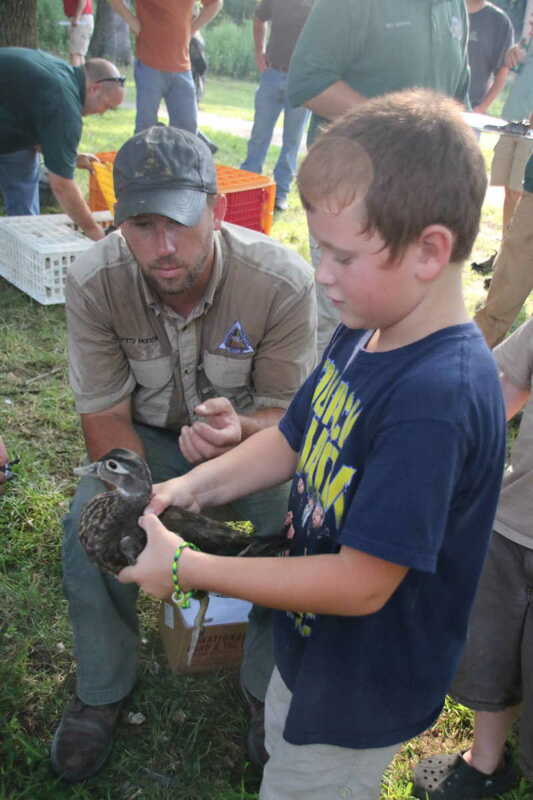 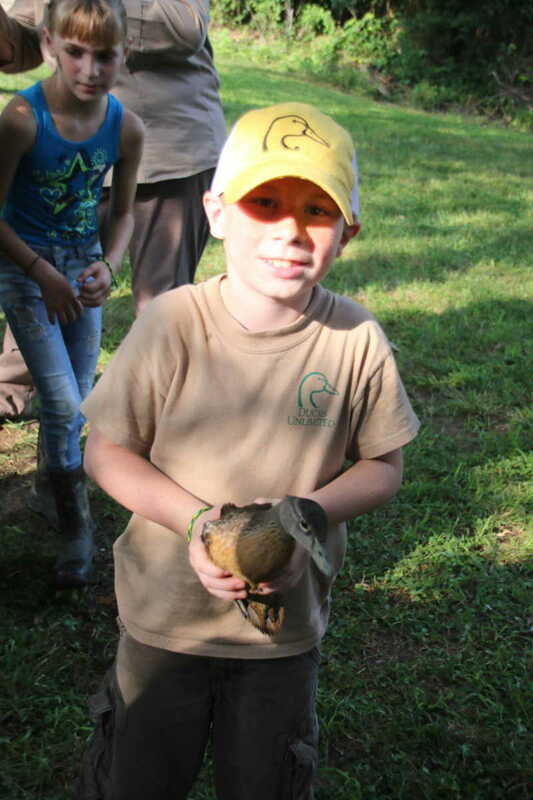 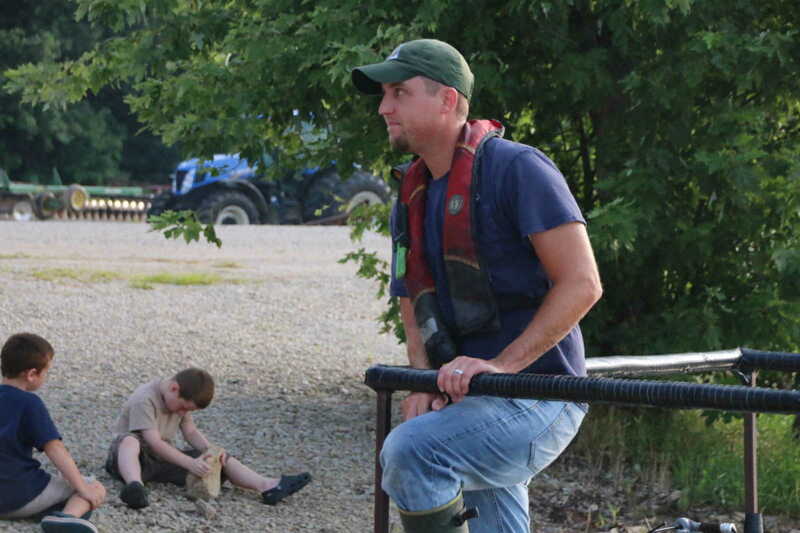 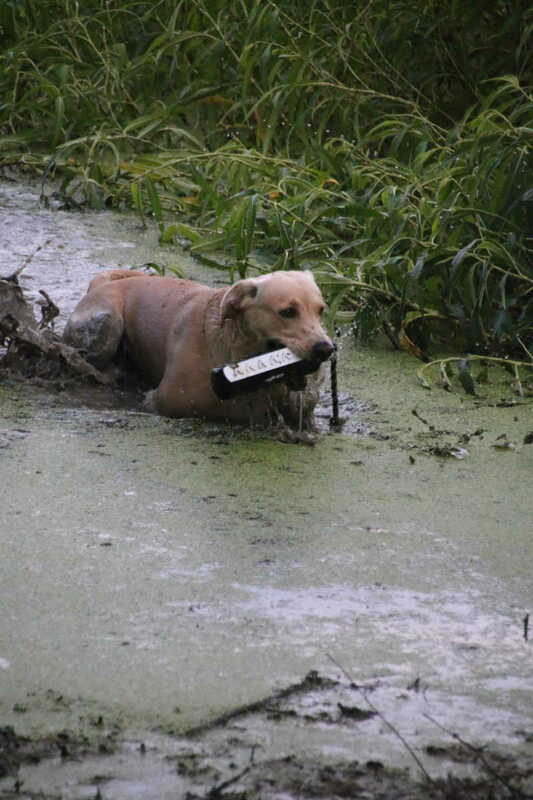 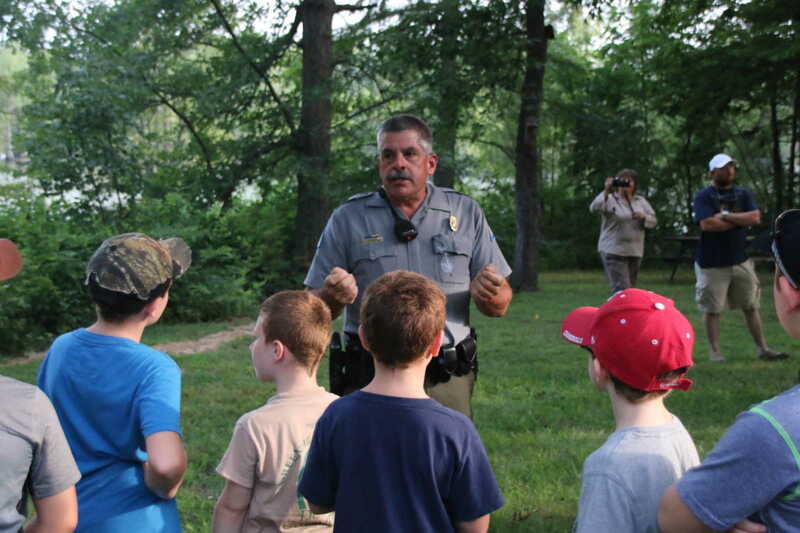 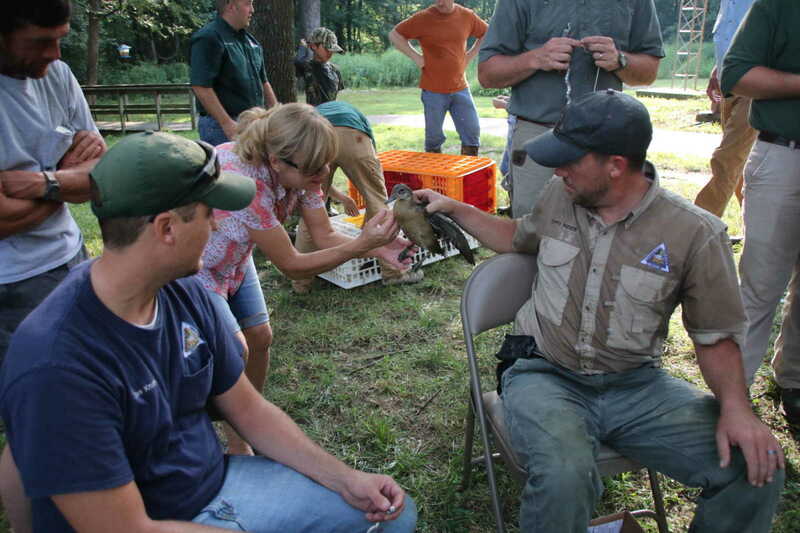 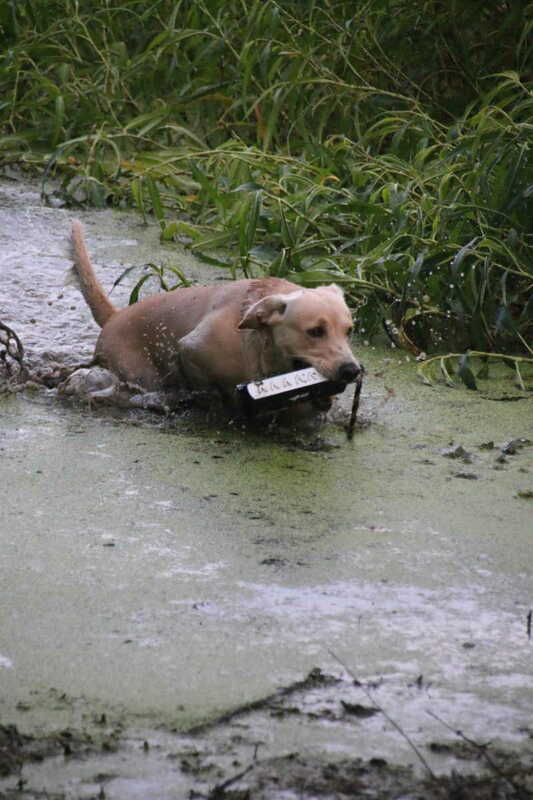 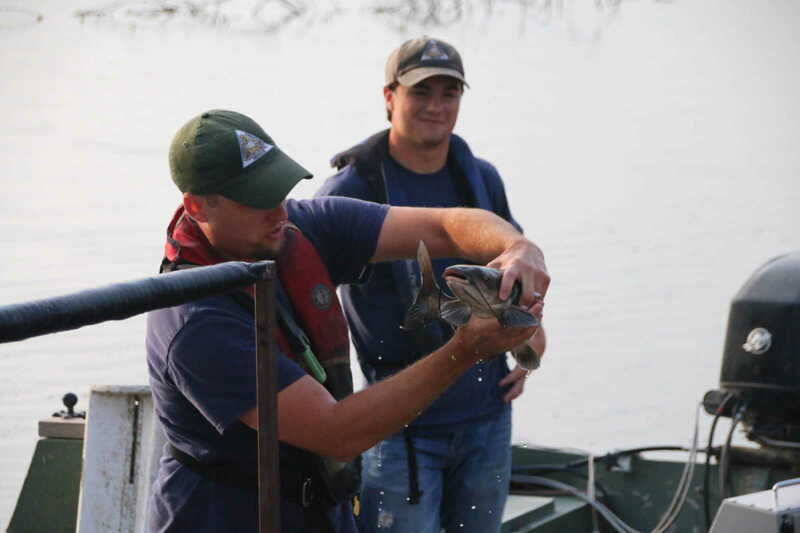 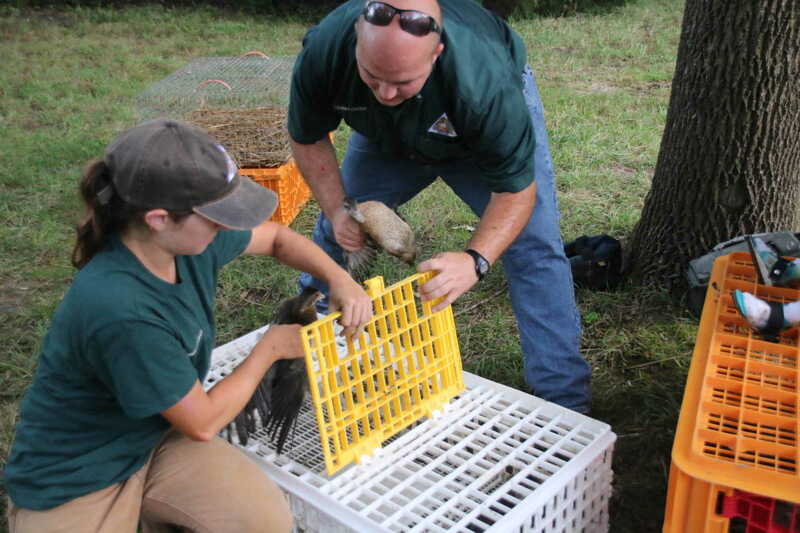 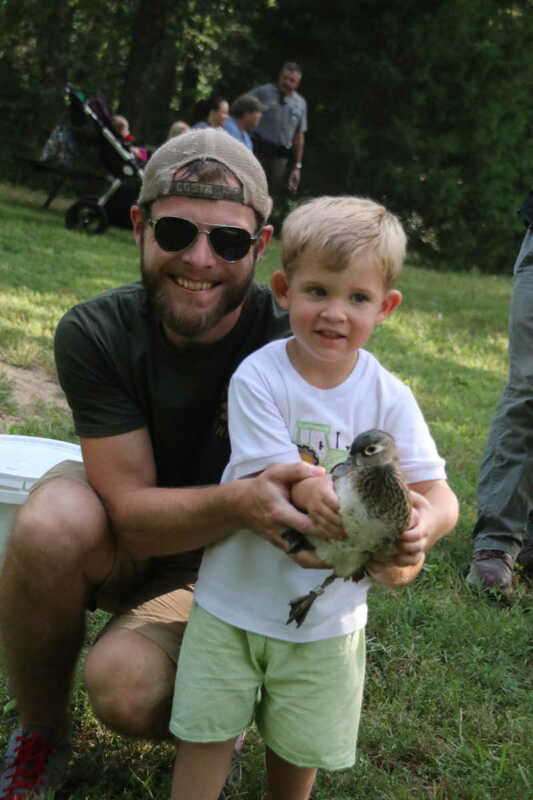 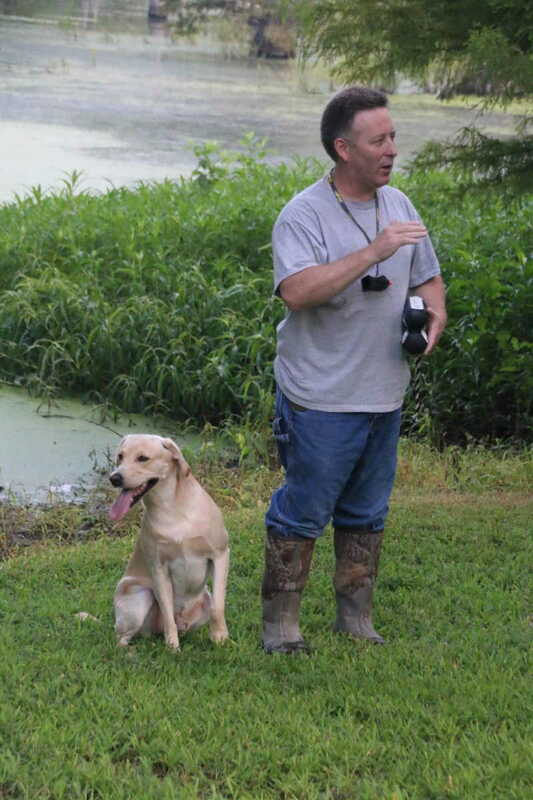 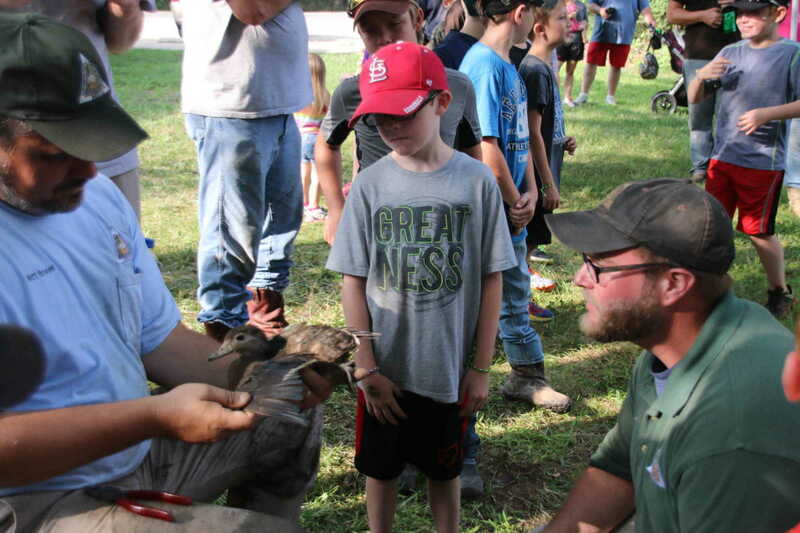 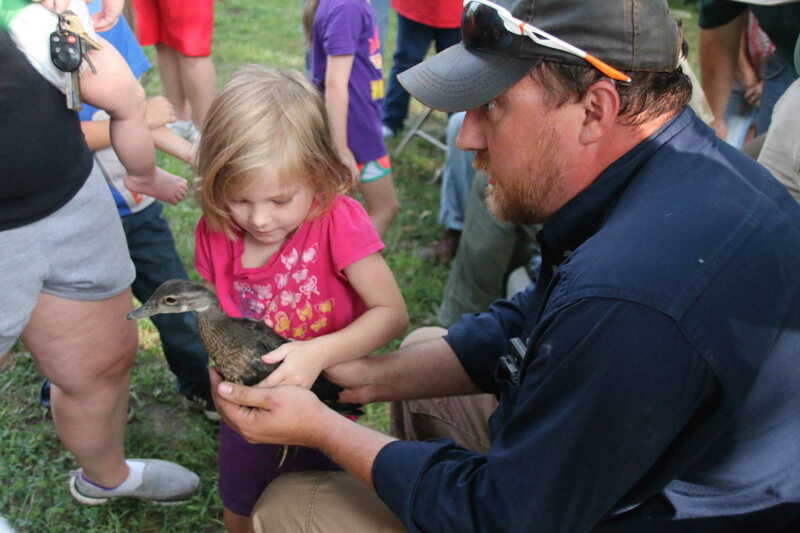 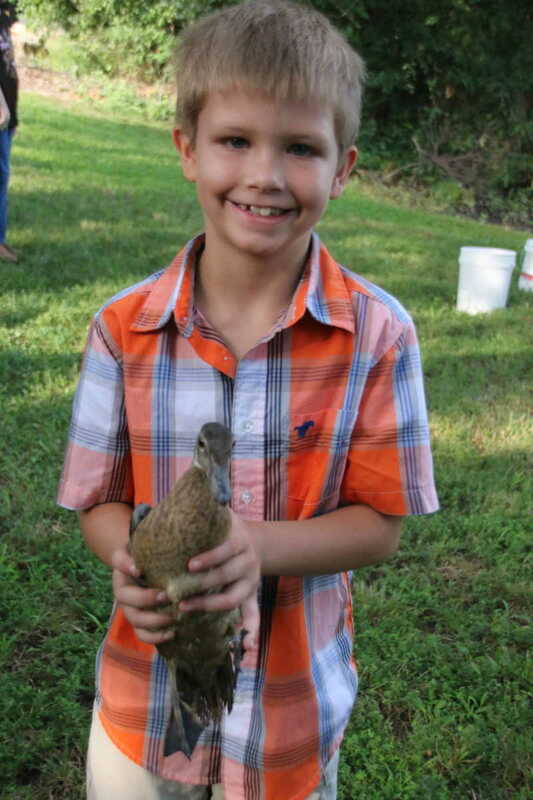 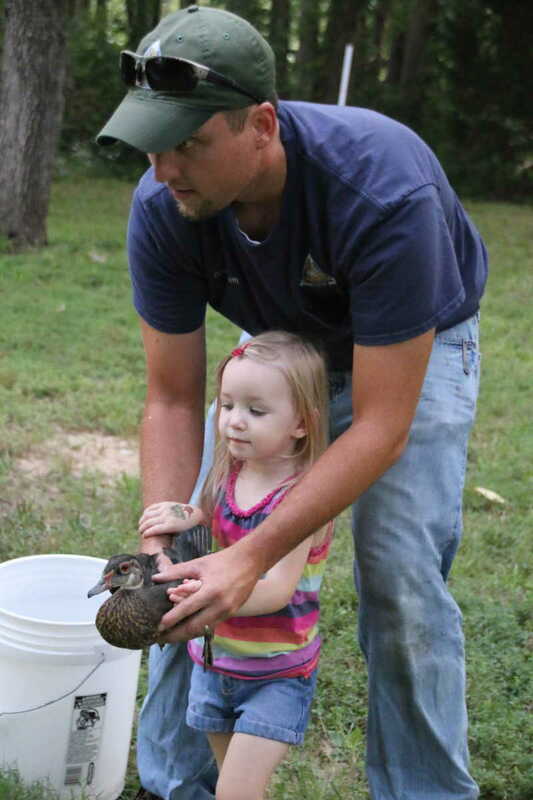 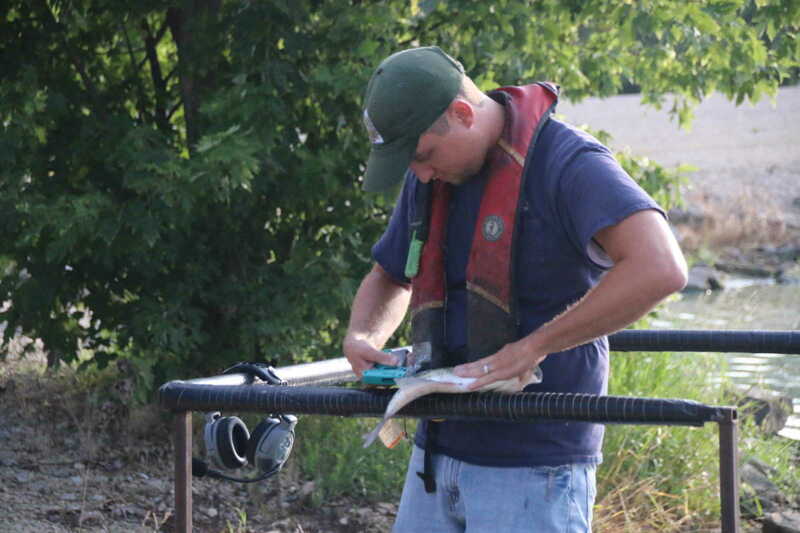 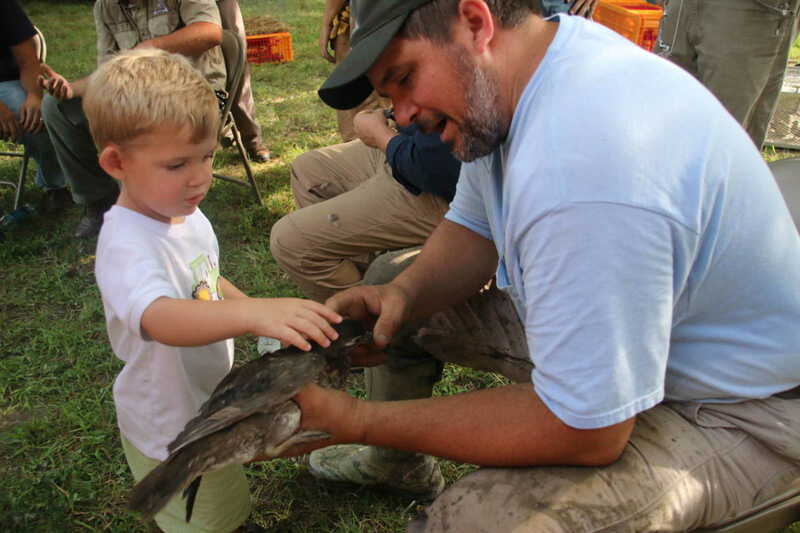 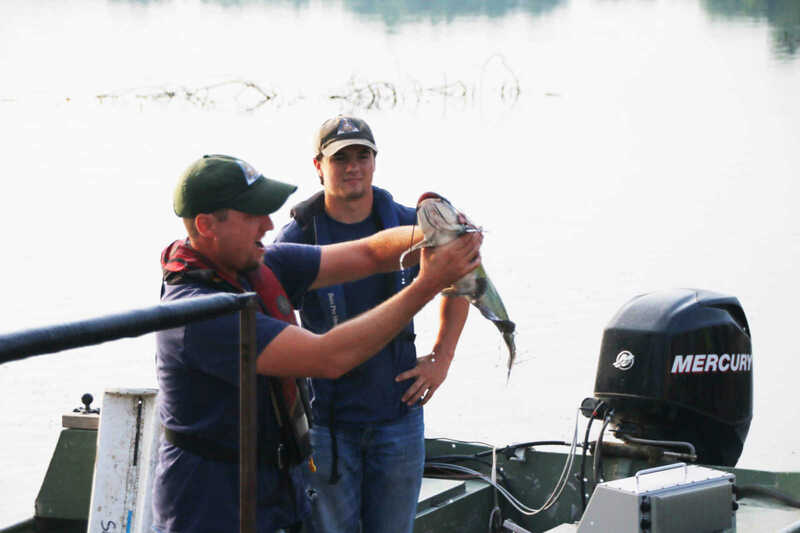 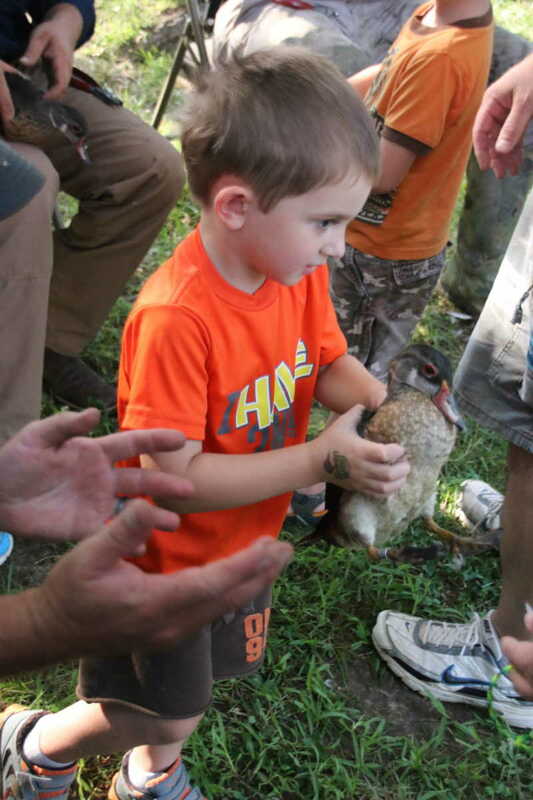 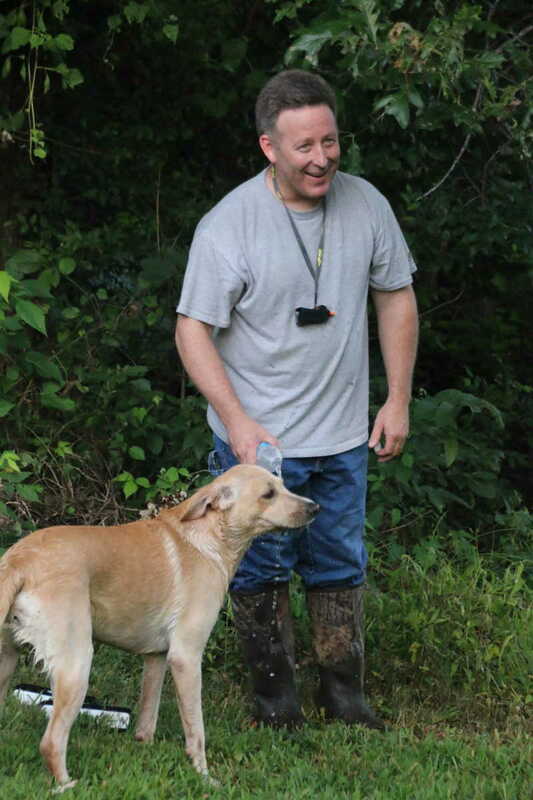 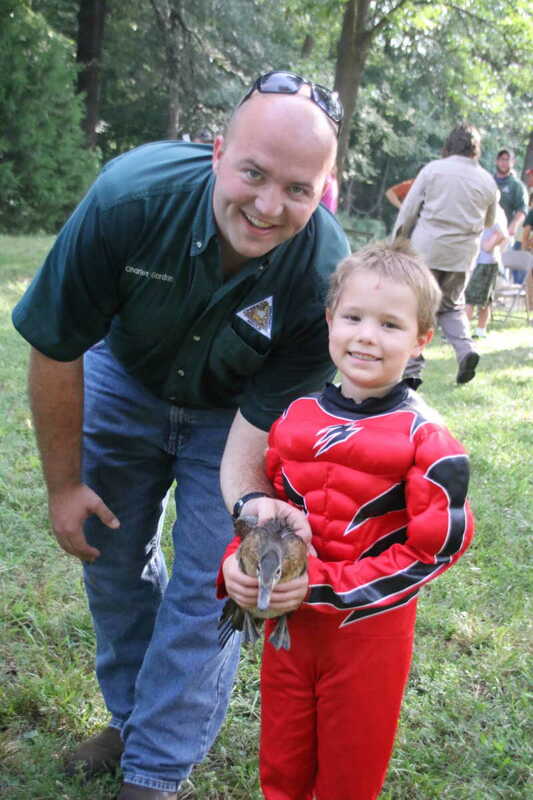 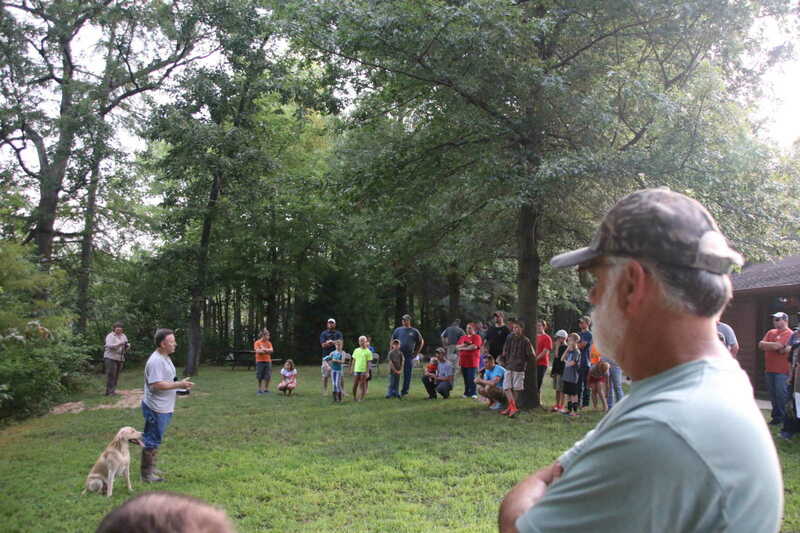 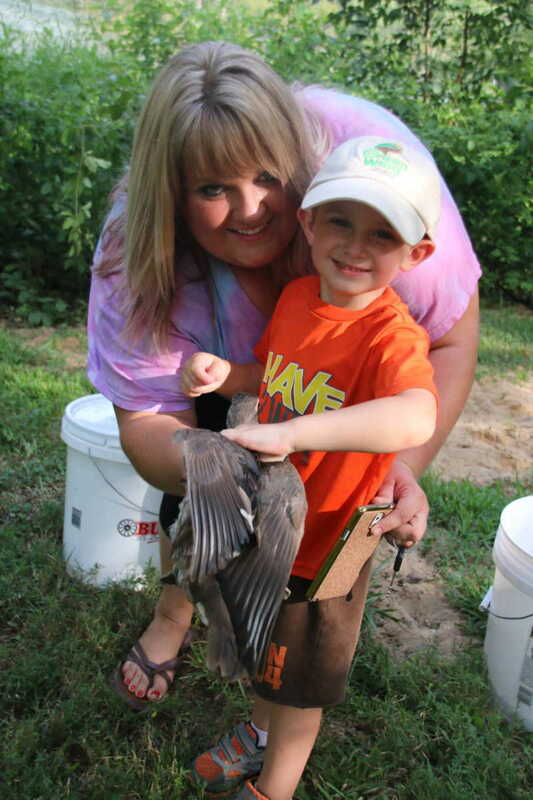 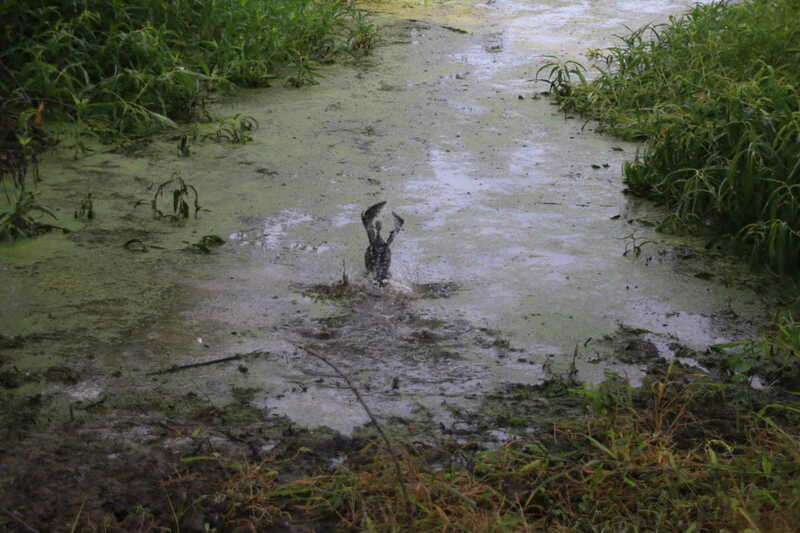 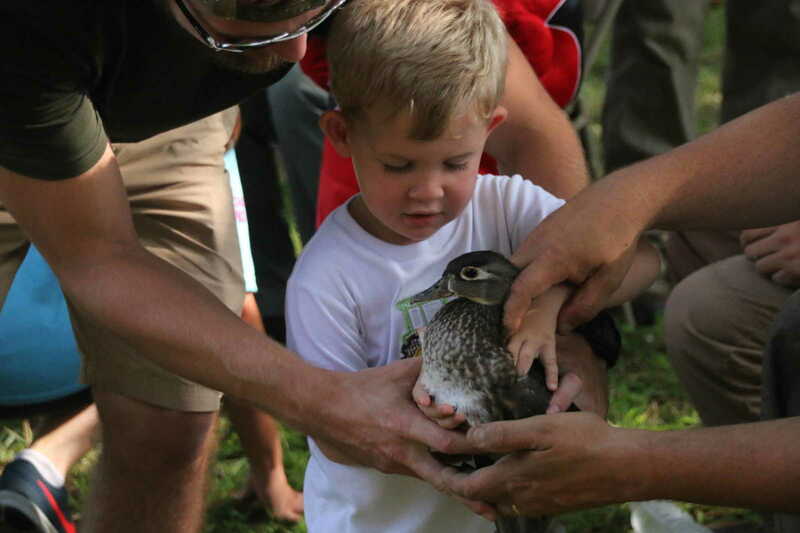 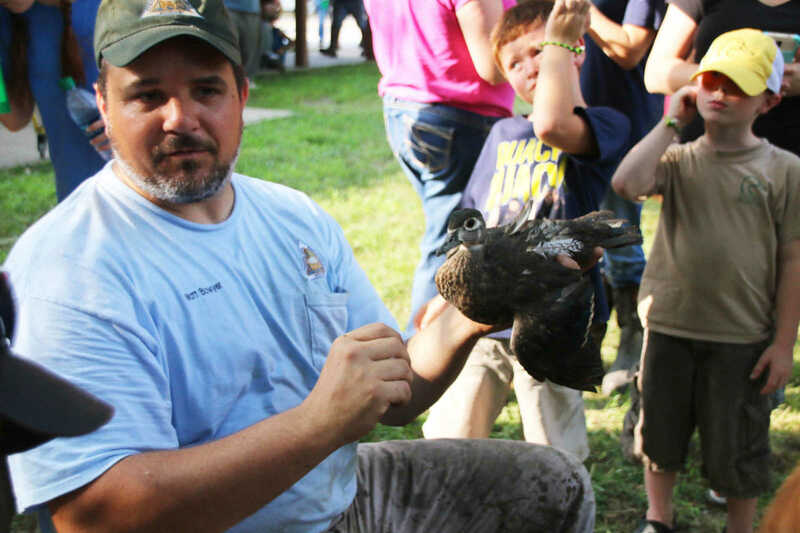 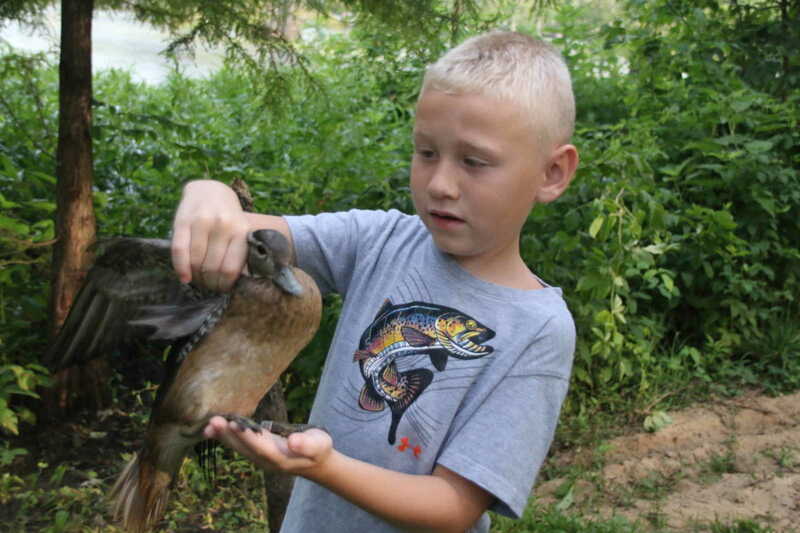 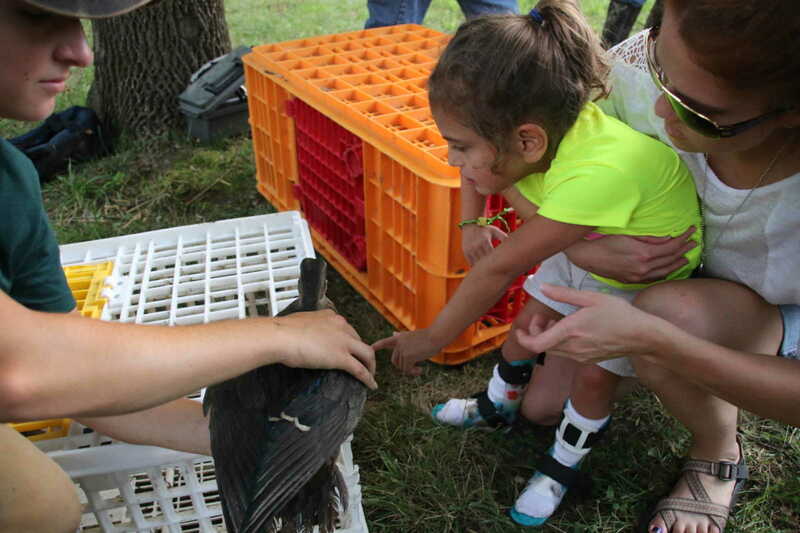 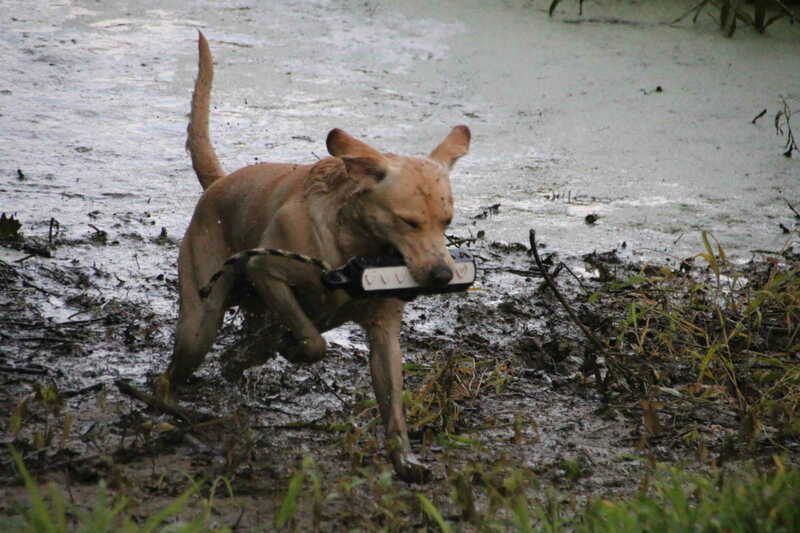 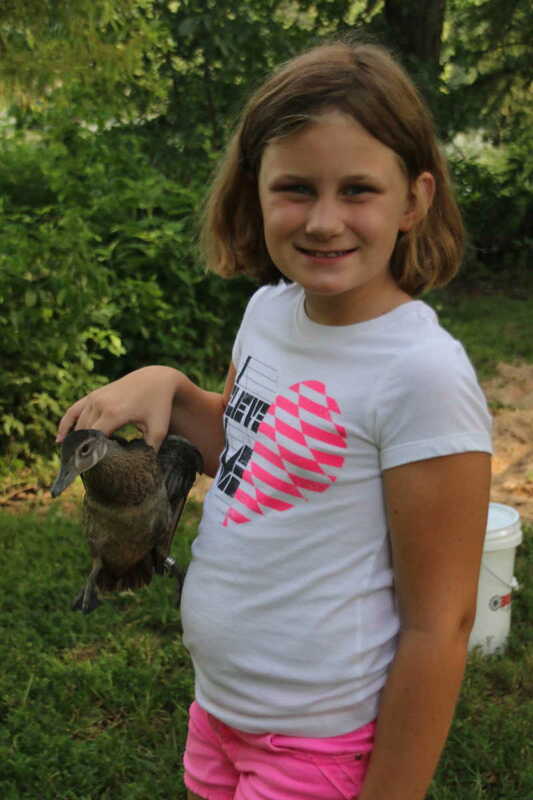 Each July, the Department of Conservation and volunteers with Ducks Unlimited hold their Greenwing Event, a banding of ducks and doves at Otter Slough for the purpose of tracking the birds habitat once harvested. 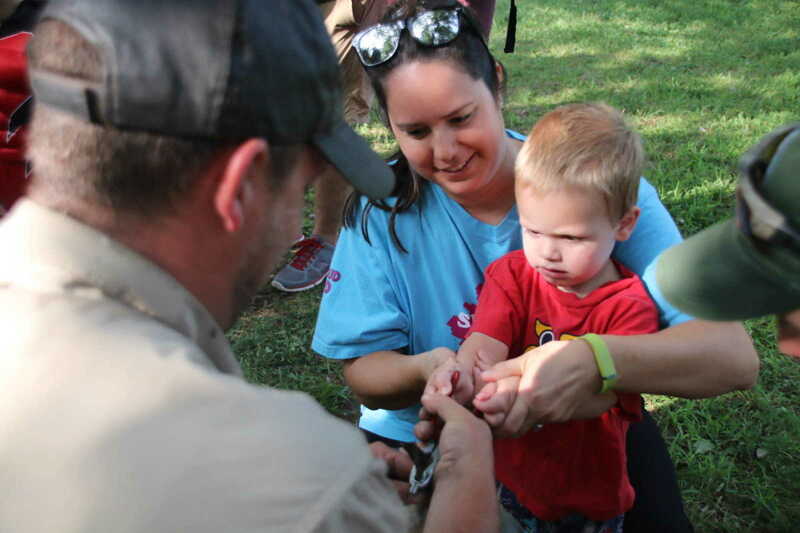 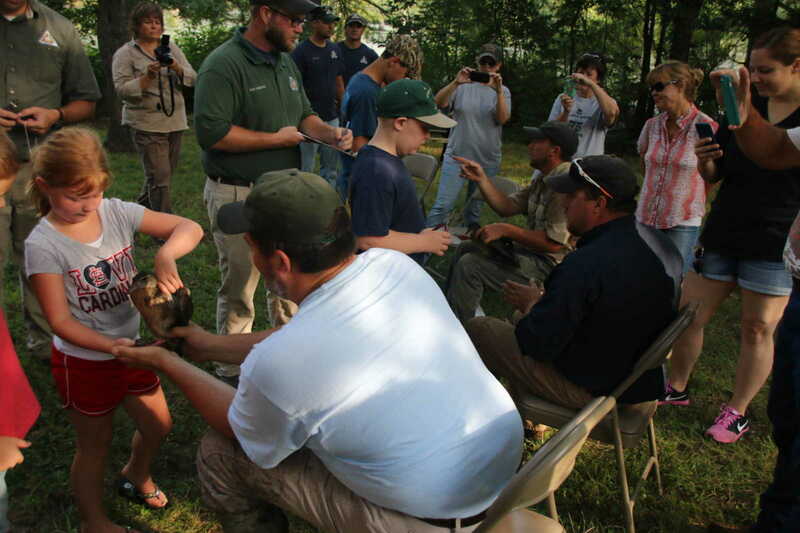 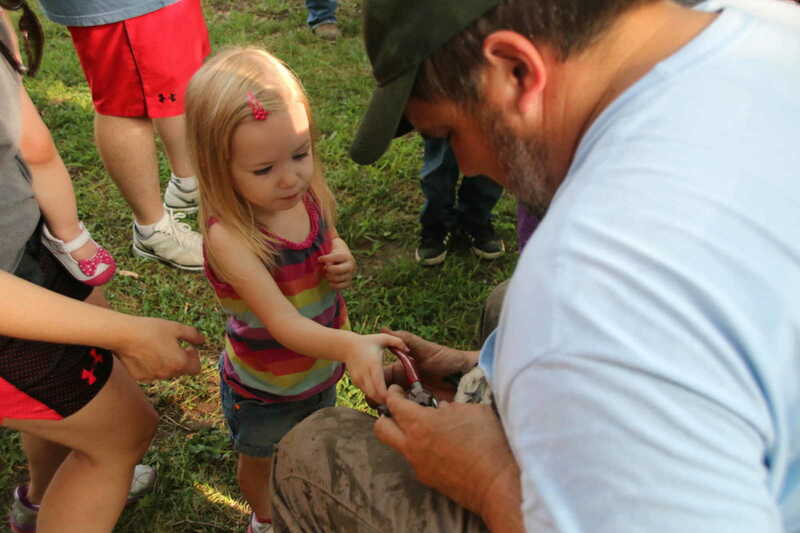 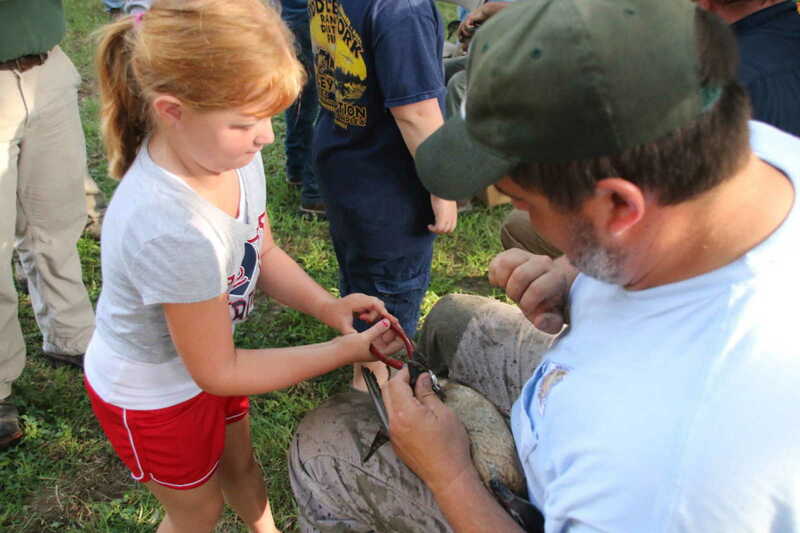 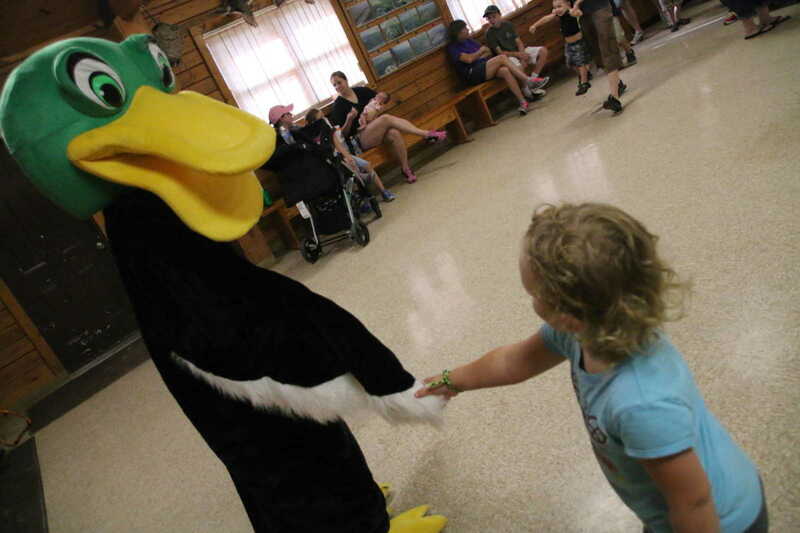 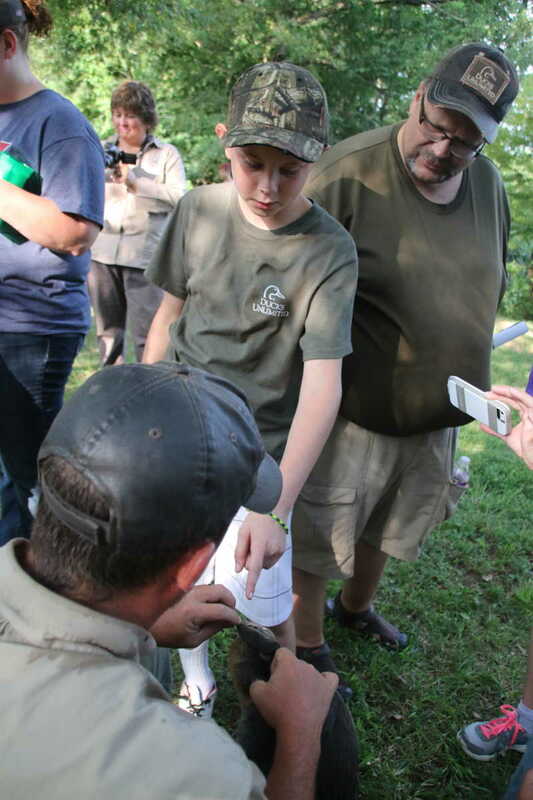 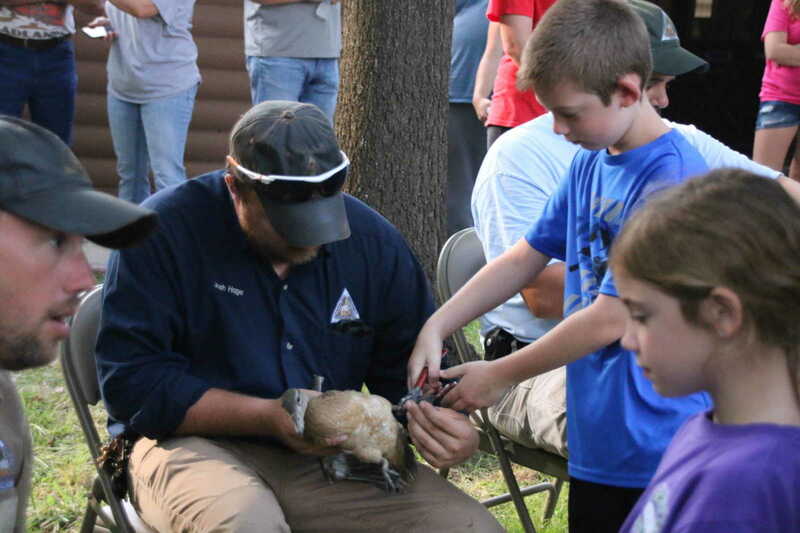 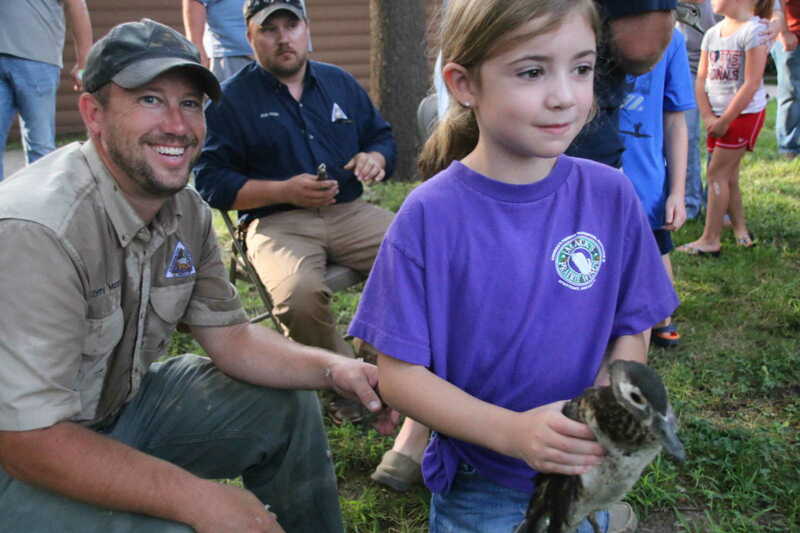 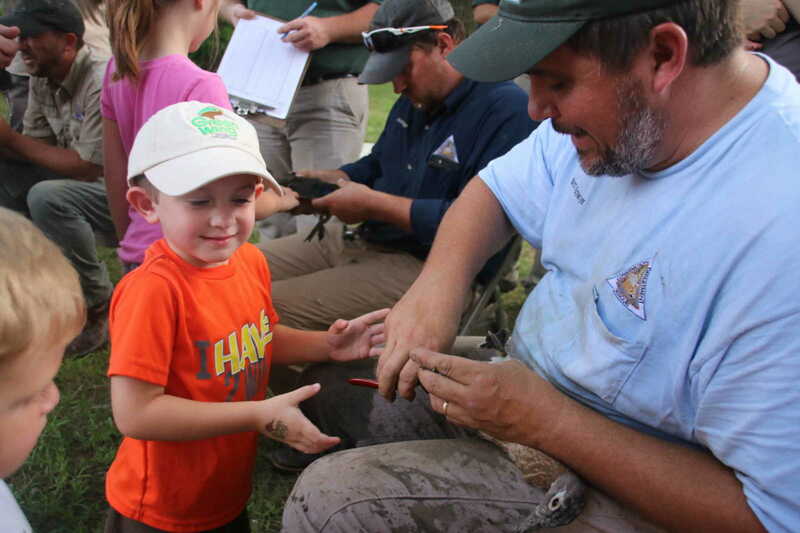 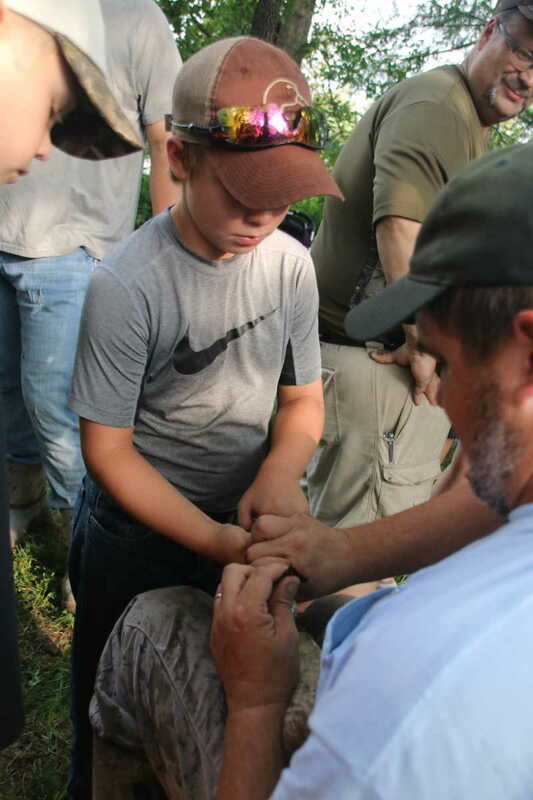 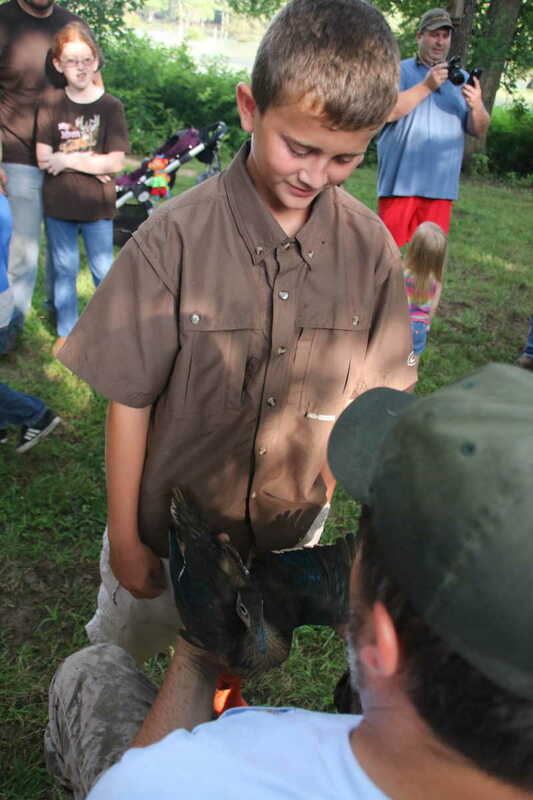 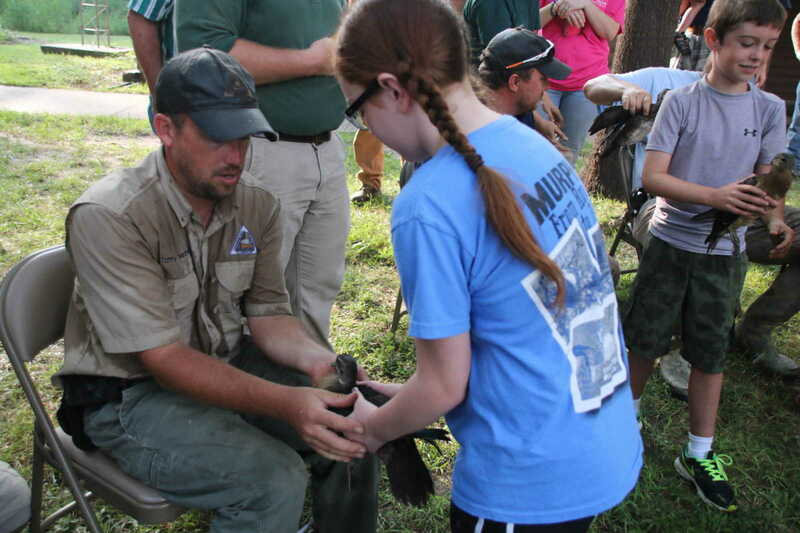 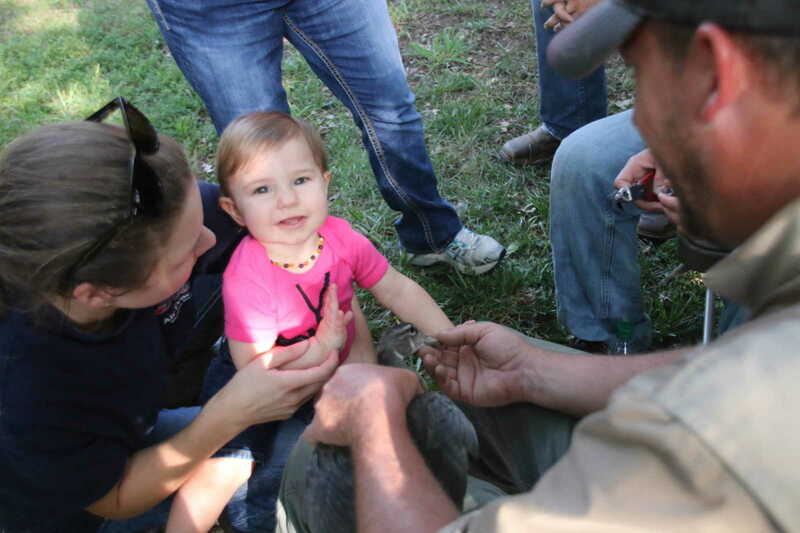 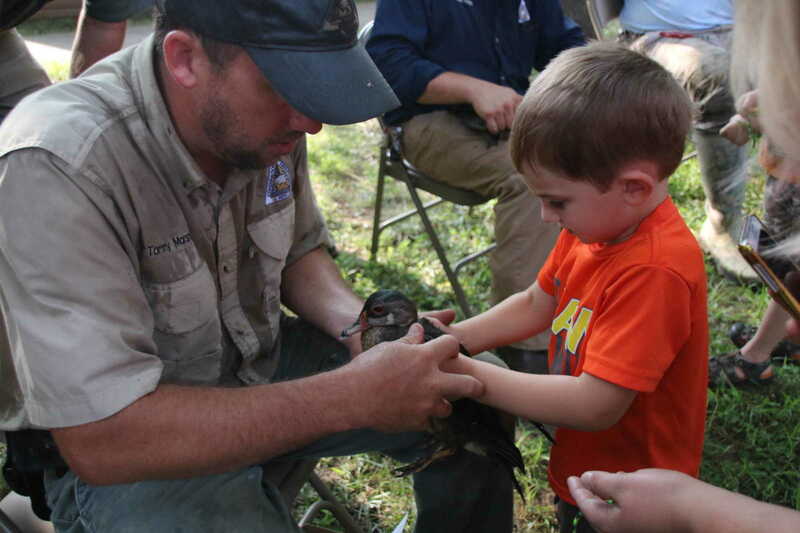 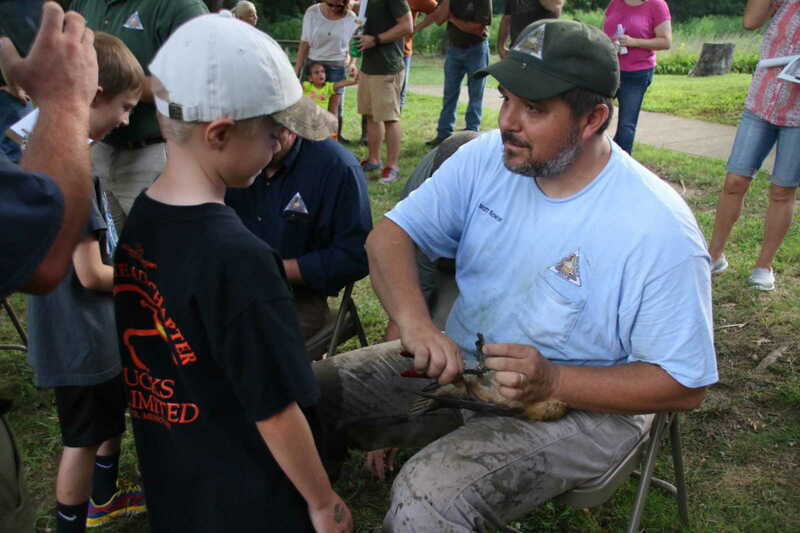 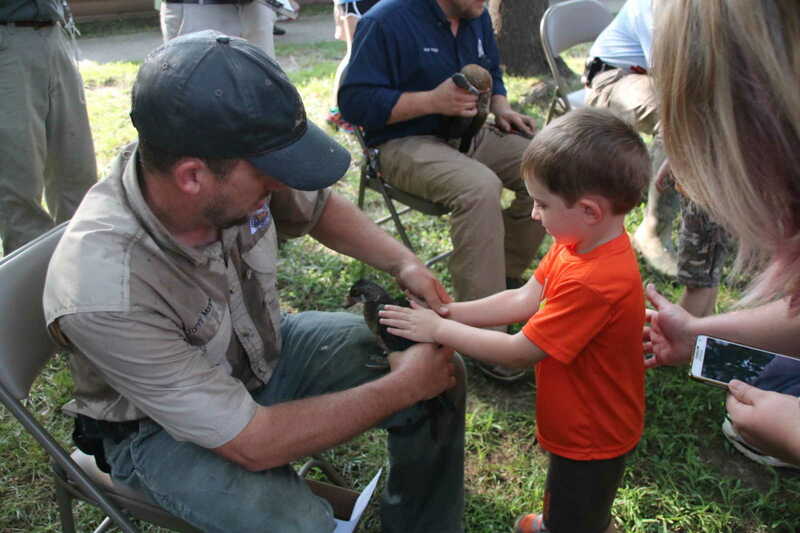 Youth are invited to take part in the event and are assisted by various Conservation employees and DU volunteers as they get some "hands-on" experience in placing the band on the birds. 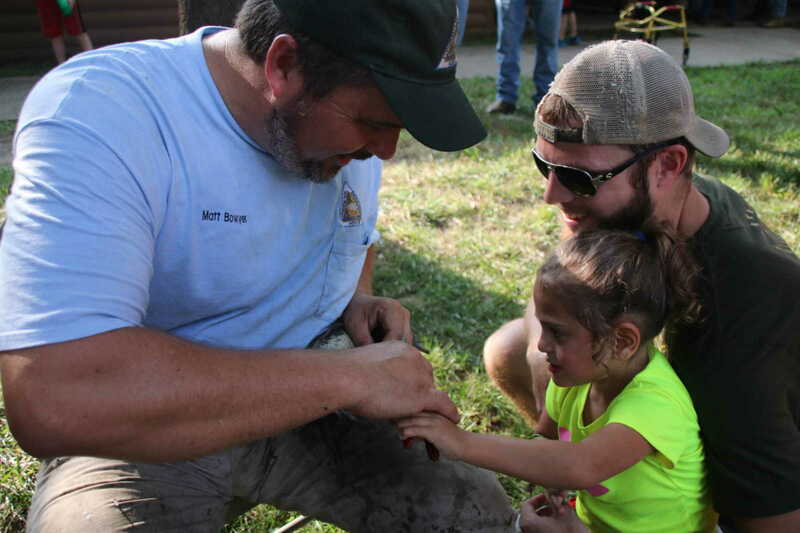 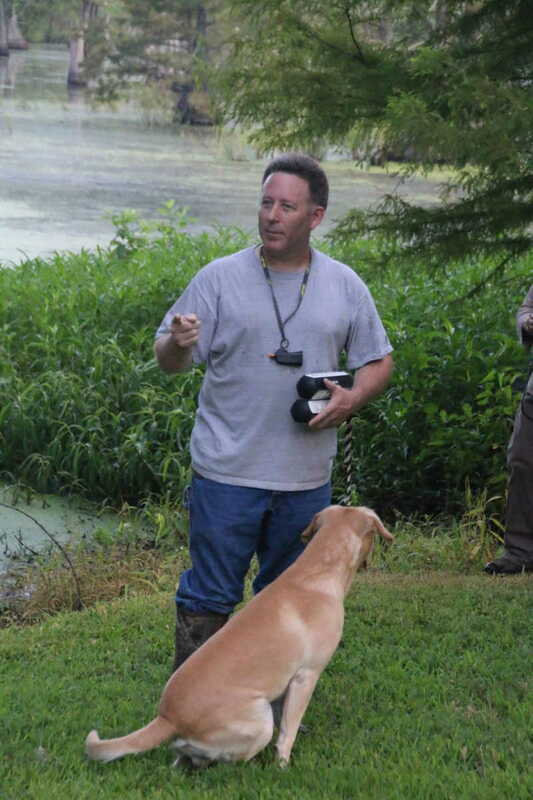 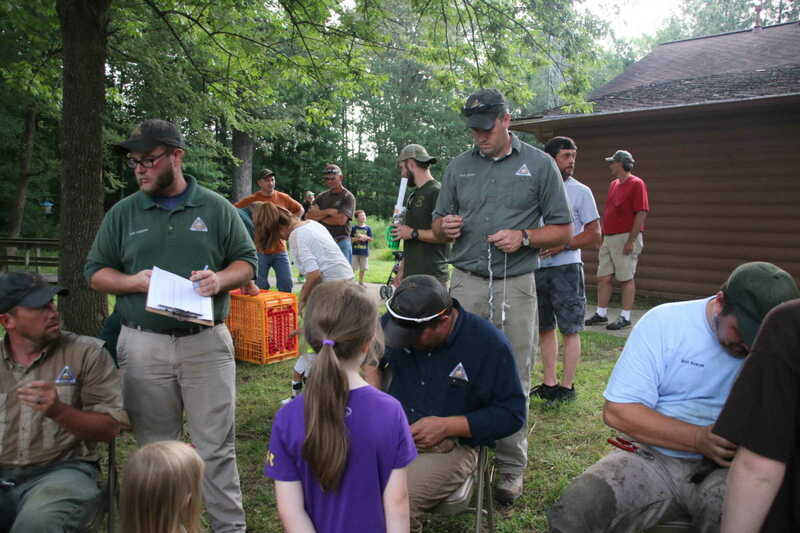 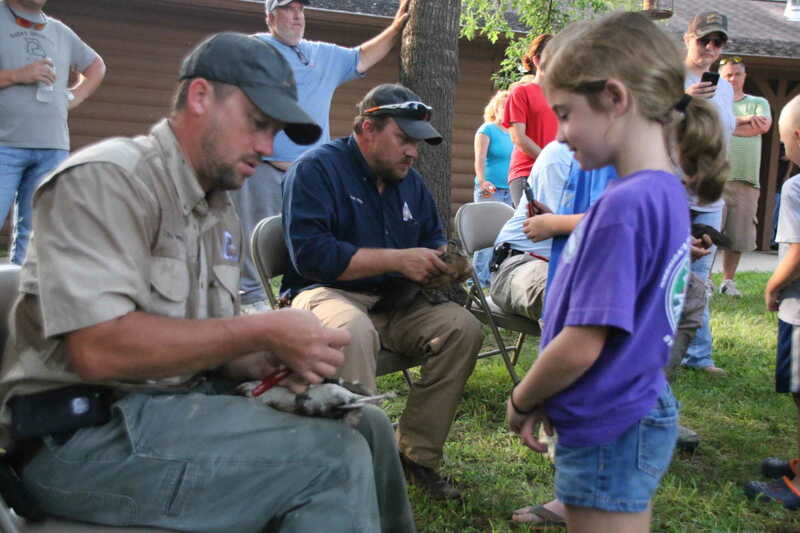 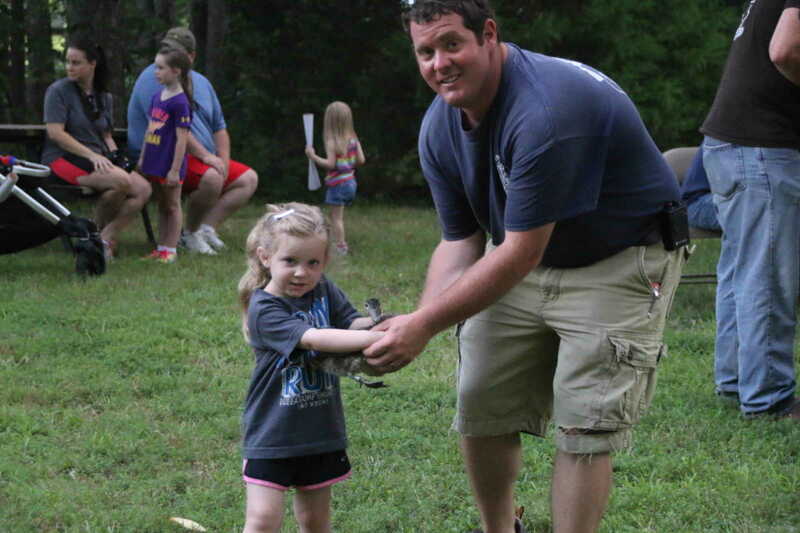 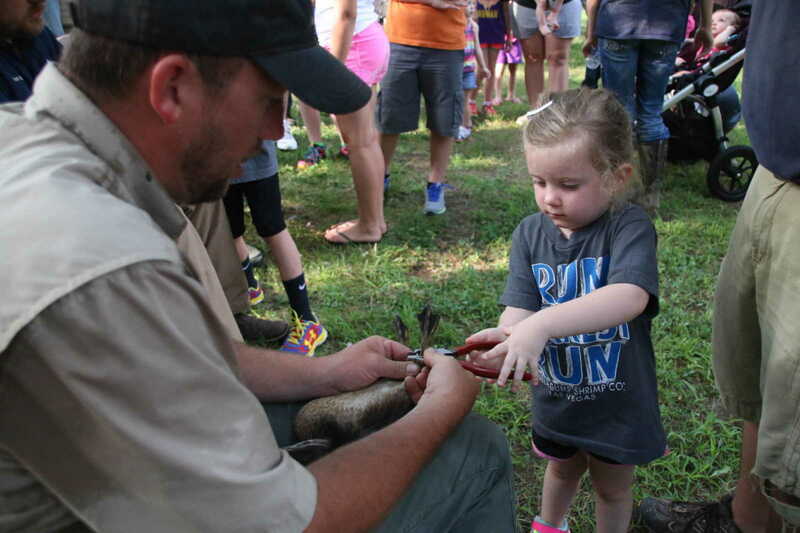 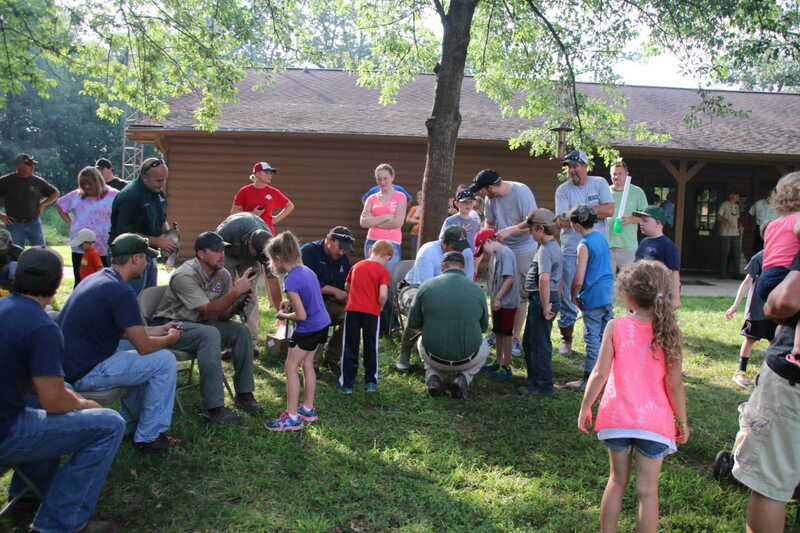 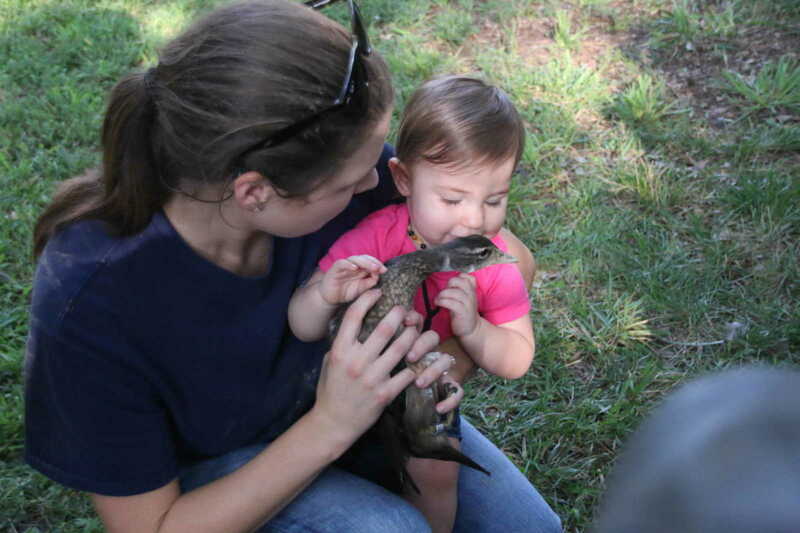 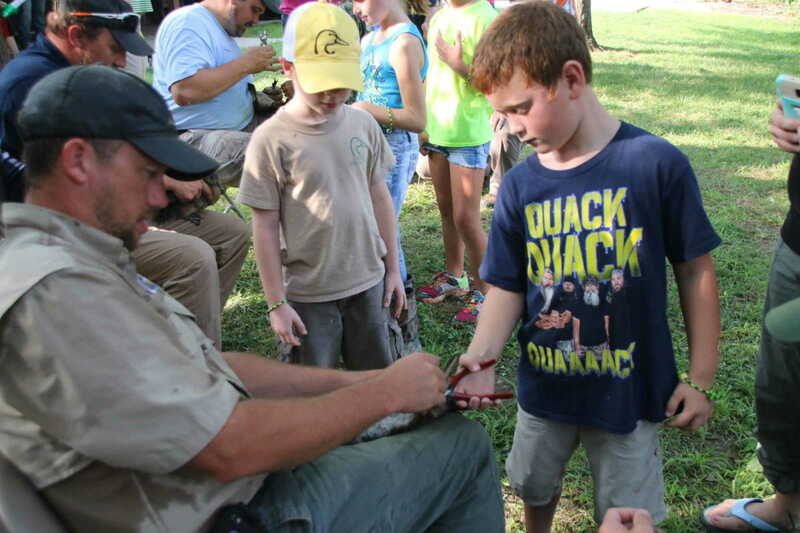 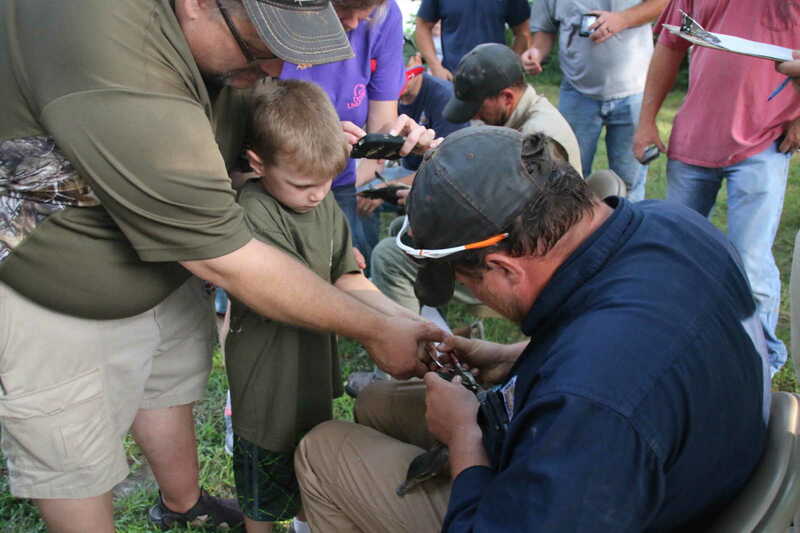 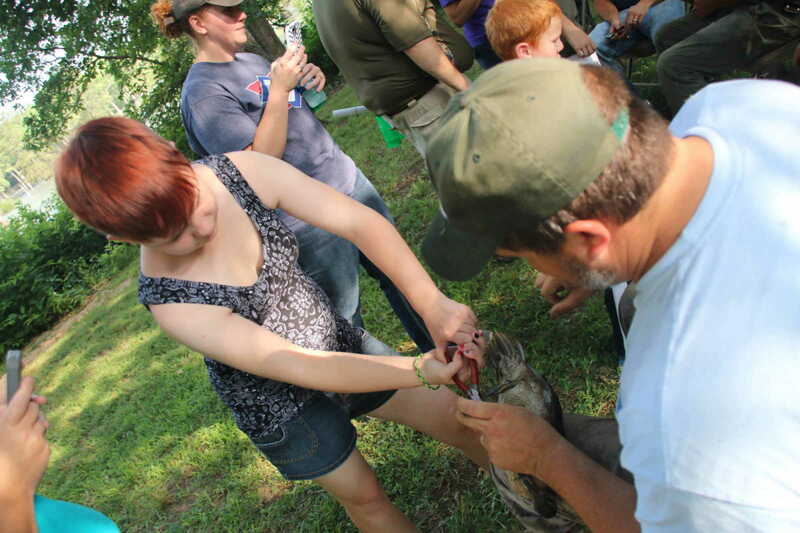 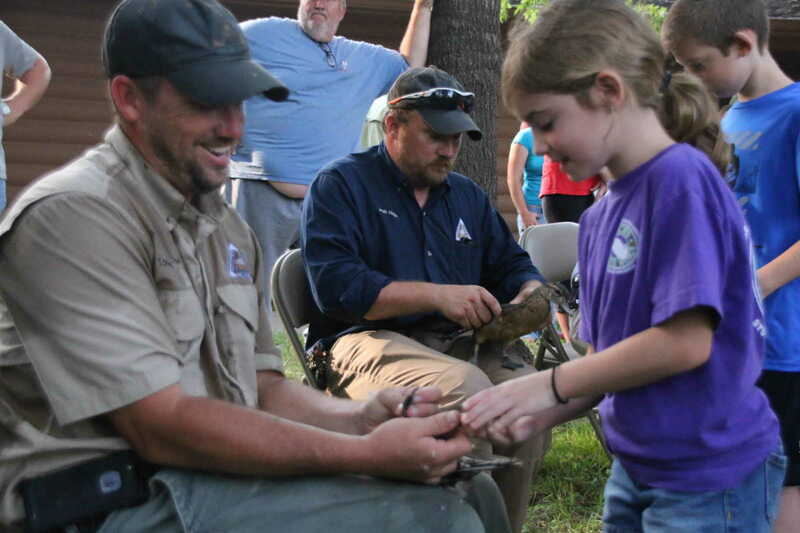 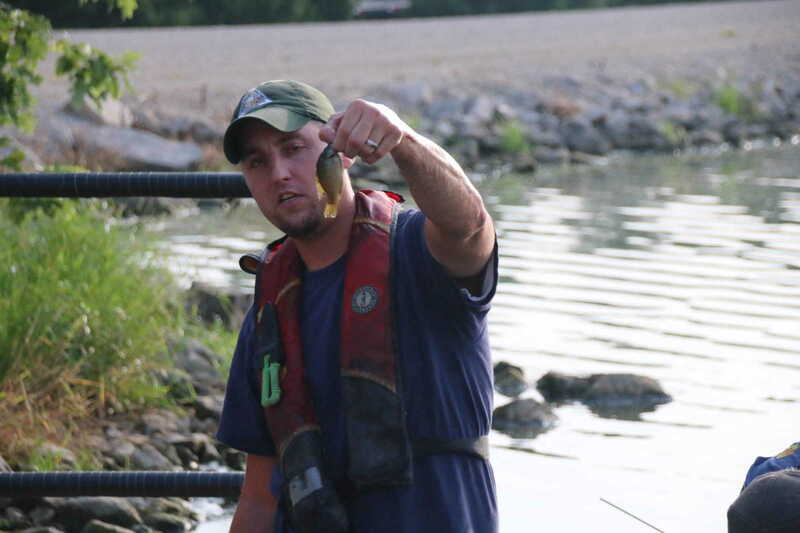 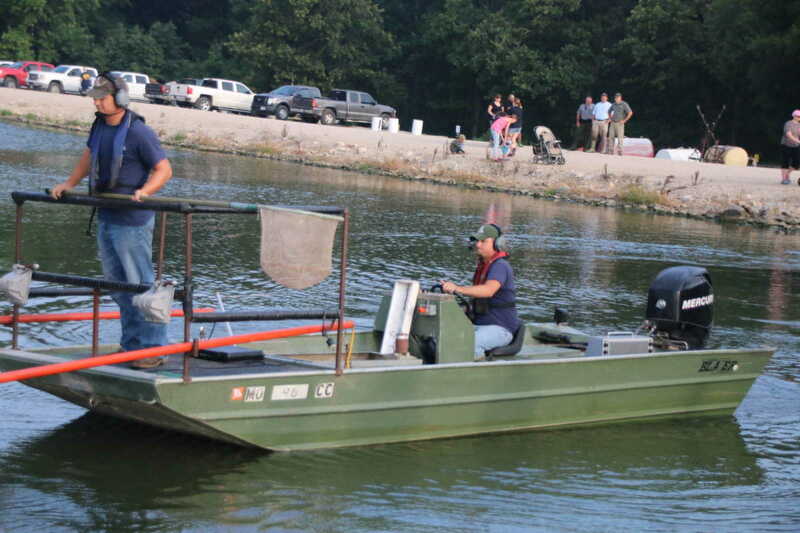 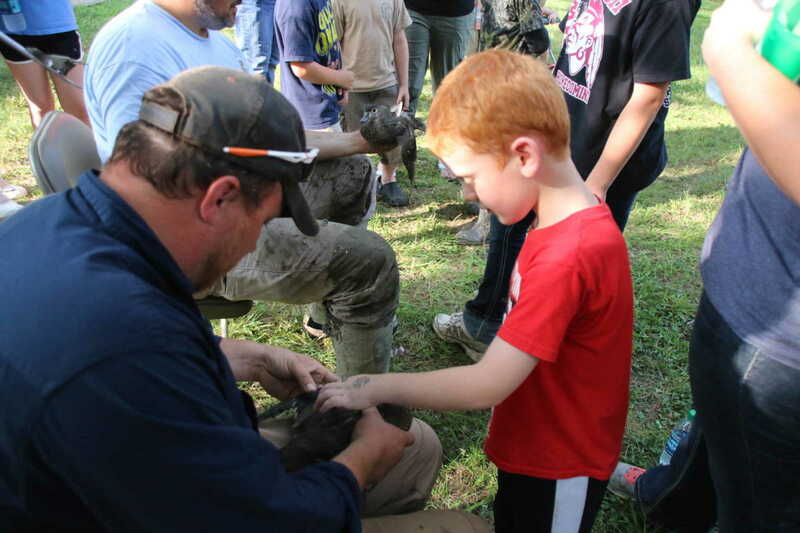 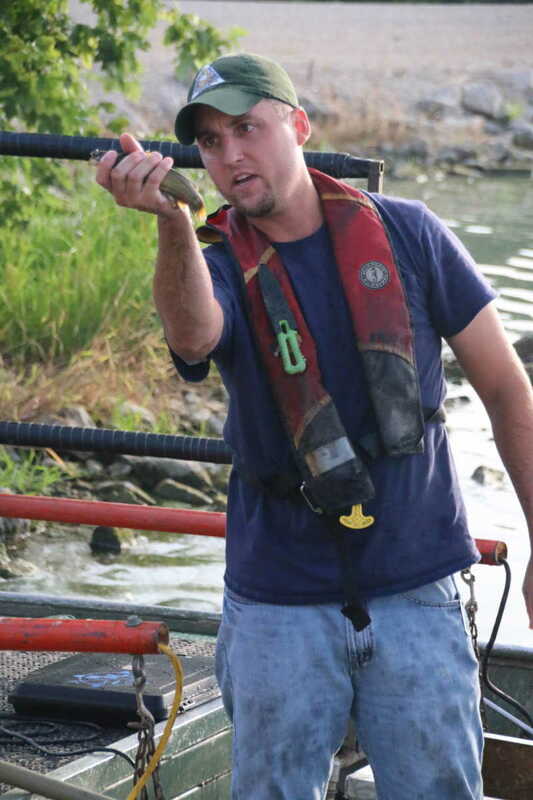 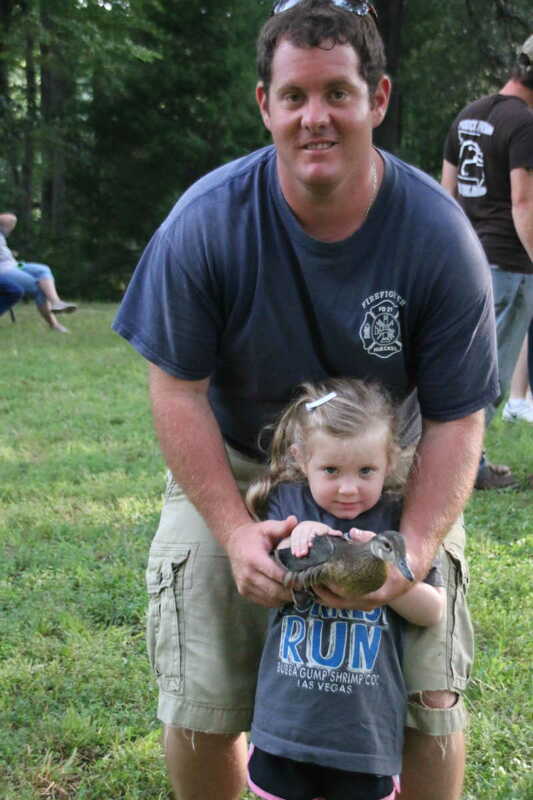 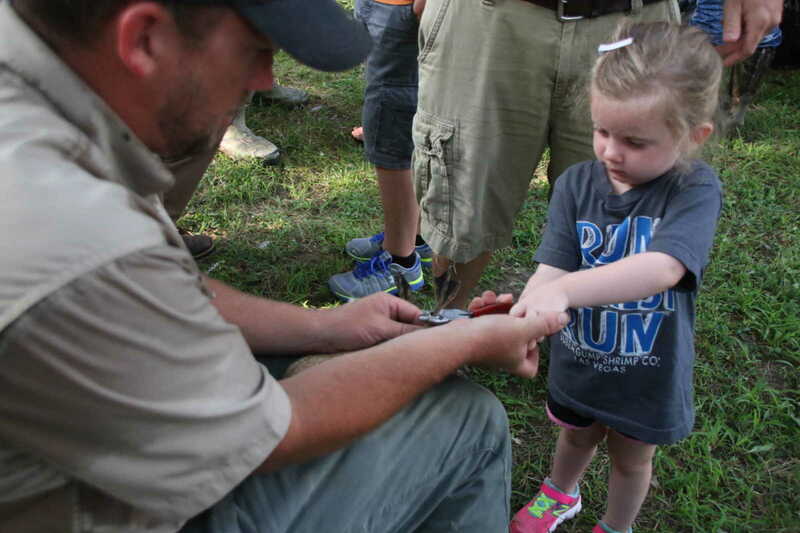 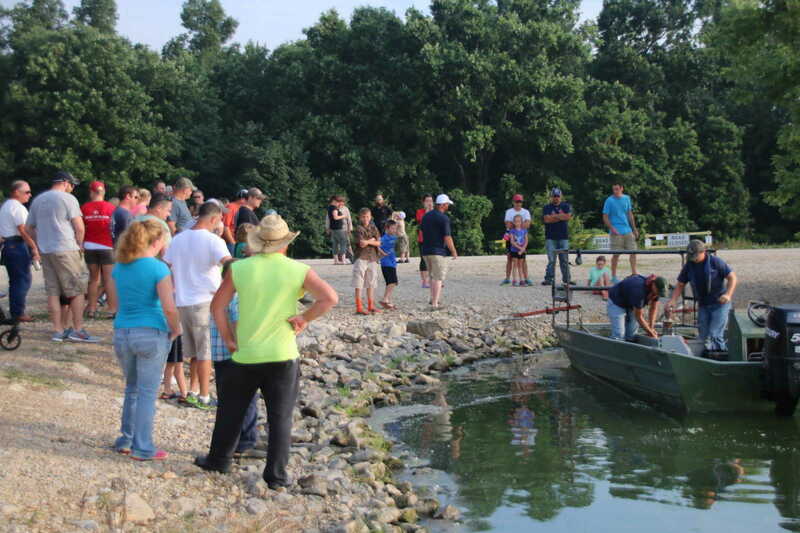 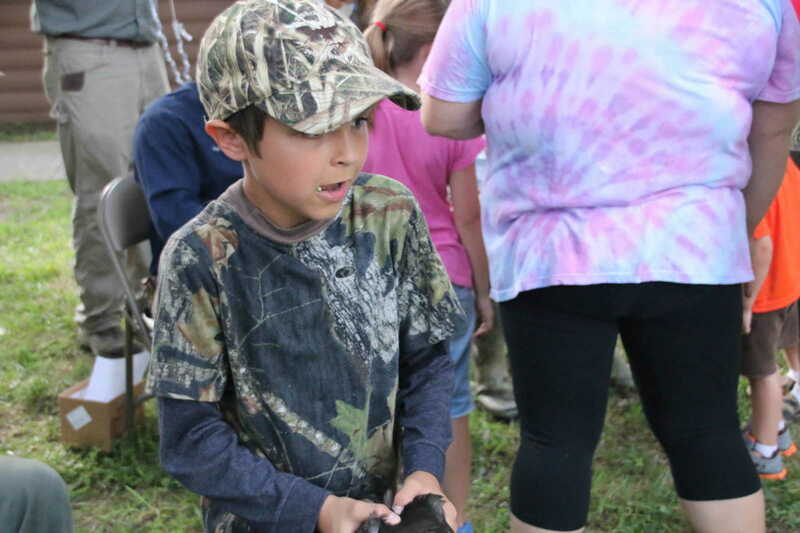 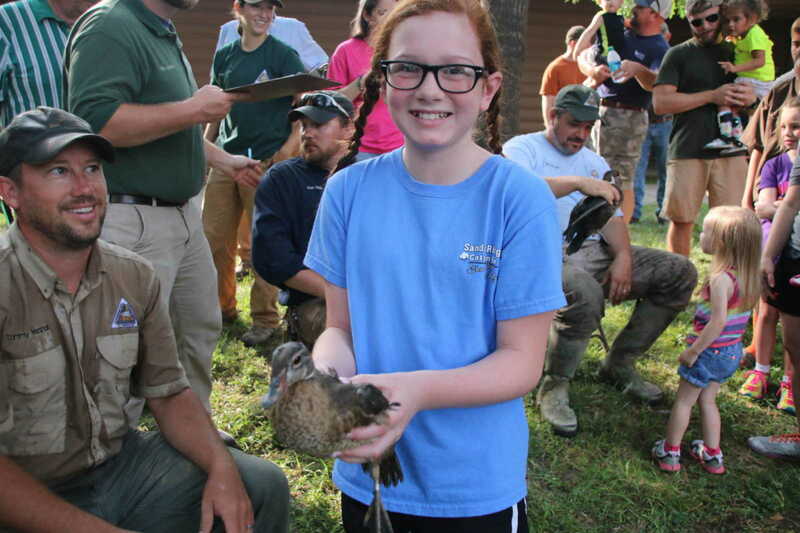 About 60 youngsters showed up on Saturday, July 25 for the annual banding, which included Department of Conservation biologists demonstrating electrofishing techniques in Cypress Lake.